Mobeus has invested £3.7m to support Redline Assured Security, a provider of security training, quality assurance and consulting. The funding will be used to accelerate the roll out of Redline’s products and services in new markets. Having historically focused on the UK, the firm has seen growing international demand for its services in the last twelve months. 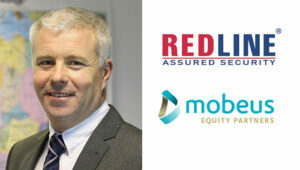 The funds invested by Mobeus will support Redline’s further international development, with the need for heightened security underpinning future demand for Redline’s services.